Angry birds, i didnt do games before...but! Angry birds, i didnt do games before…but! There is a craze thats in, absorbed me in it…and thats Angry birds. This game is proving to be one of the successful games judging by the amount of downloads and media about it. The downloads were too high that at some point they took down the download servers. 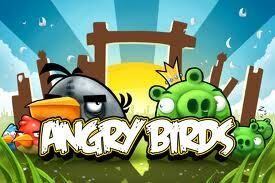 Angry birds game download is available for iphone in the app store and for N900, N8 etc at ovi store. So i happen to have met angry birds first hand as i browsed through the ovi store on my Nokia N8 smartphone, and on going to the games category the first thing to strike me was angry birds. I fell in love ever since. There is the lite version that is free, and thats just like a carrot because it’s so nice and funny that you will find people playing it in meetings, and there is the Angry birds arcade retailing for USD 2.29 built for Symbian ˆ3. So next time i dont wanna answer your call its because you are distracting my session with the pigs. Previously i used to look down upon games viewing them as a time waster with no specific gains, but this one raked me in hook, line and sinker. I find it entertaining though and the fact that you have to use some skills to get rid of pigs makes it an intelligent game (i feel for pigs though). You can watch a video of how we play the game here. Update!! There will be a “Angry birds christmas edition” coming on December, thanx @philipogola. Next articleBest way of managing all your Facebook, Twitter, LinkedIn accounts! Titus there is no doubt the game is fine, just download it from ovi store and you have the time of your life. Got it on my ipad and yes its a hoot!